Anne Marie Pace: Author and Award-winning Cookie Baker! I met Anne Marie Pace the same place I met several of the Nerdy Chicks interviewed so far: at the Workshop for Writers at Chautauqua, sponsored by the Highlights Foundation. One of the best things about that week was connecting with others who took writing seriously. A writer who loves words, loves playing with words, and keeps working with words until she gets them right, Anne Marie was one of those writers. And she does it while raising four children. To me, that is impressive and amazing. Three of Anne Marie’s picture books have been published and there are more to come! Her latest, Vampirina Ballerina is almost too adorable for words. It is the perfect treat for this Halloween! Thanks so much for joining us today Anne Marie! You’ve got to be thrilled with the art in Vampirina Ballerina. The black and pink together is both stylish and genius! How do you feel that Pham’s illustrations enhance your words? Did you work together to decide on which images to use? Definitely, I’m thrilled. LeUyen Pham’s work brings so much depth to the book. We did work together more collaboratively than authors and illustrators are often able to, thanks to our editor Kevin Lewis. Some of the visual humor was originally in the text, but we took it out of the text because Uyen’s art did the job without my words (an example would be Vampirina’s inability to see herself in the mirror). But much of it is Uyen’s contribution. My text had some small things in it that Uyen then developed into book-long threads; for example, I had the line “resist the temptation to turn into a bat,” and Uyen took that and ran with it from end paper to end paper. I couldn’t be happier with the book. I can see why! It’s a great book. Back when I met you, you were working on a middle grade novel. Now you’ve had three picture books published. 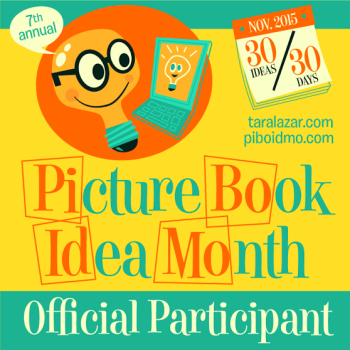 How did you have to change your mind set to write picture books? Picture books and novels have many things in common, of course—the need for plot, characterization, and so forth. You just have 5000 times more words in a novel, which has its pros and cons. In my own work, I suppose that in my novels, setting tends to be very important, almost a character, if you will—but in picture books, setting is up to the illustrator. Novels are so much lusher—picture books are spare. I don’t think it’s a mindset as much as a skill set, and I acquired the basics from studying good picture books. Honestly, I still have a lot to learn. I often tell writers that recognizing that they have more to learn is important to success. That’s probably one reason you’ve been successful! Now that you have several books out in the world, what do you think was the biggest obstacle to your achieving success? Oh goodness, to answer that I’d have to define obstacle and define success, because we all define those so differently. Hmmm—how about this? Letting life’s ordinary moments get in the way of writing, and worrying when life’s extraordinary moments get in the way are both obstacles I’ve needed to overcome. In addition to writing, you’re a mom to four bright children. How does your family help with your writing process? They seem to understand that we are not always going to have a three-course dinner on the table. There is usually clean underwear. That’s a joke. There is always clean underwear. You just might have to look for it on the dining room table, where there is no dinner. It’s definitely hard (impossible maybe?) to be a published domestic goddess! 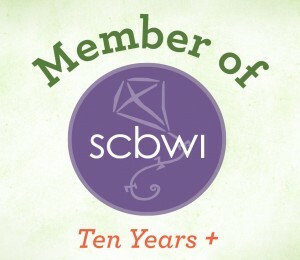 What is one of your favorite achievements that you can credit to being a nerdy chick? I wanted to perfect my chocolate chip cookie recipe so I did a lot of reading and research on the chemistry of baking, then followed it with many, many trials. I’m happy to say that the resulting cookie won a blue ribbon at the county fair. Award winning chocolate chip cookies… maybe you are a domestic goddess after all! Here’s something we try to ask everyone: If you could give your middle school or high school self one piece of advice, what would it be? Well, since this blog is about NERDY chicks, I’d probably tell myself not to worry about trying out for cheerleading and to stay on the English Team. Be true to yourself, Anne Marie! I would also tell my middle school self not to curl those bangs under. Ai yi yi, those were some bad bangs. Very nice! I love your answers, Anne Marie! 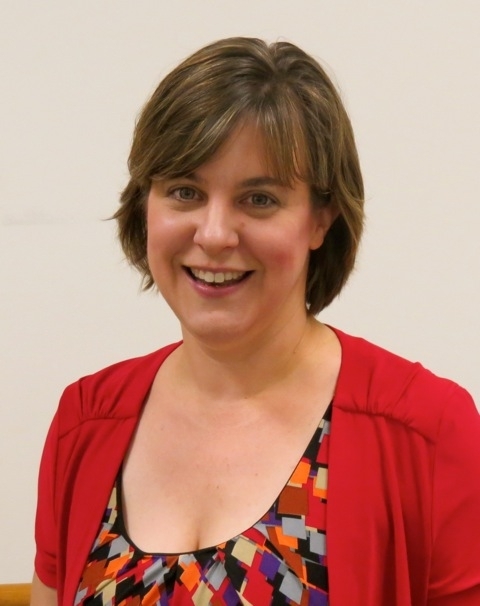 To find out more about Anne Marie, visit her website, or like her on Facebook! And if you want to make a bat headband for your little Vampirina, Anne Marie shared instructions HERE. 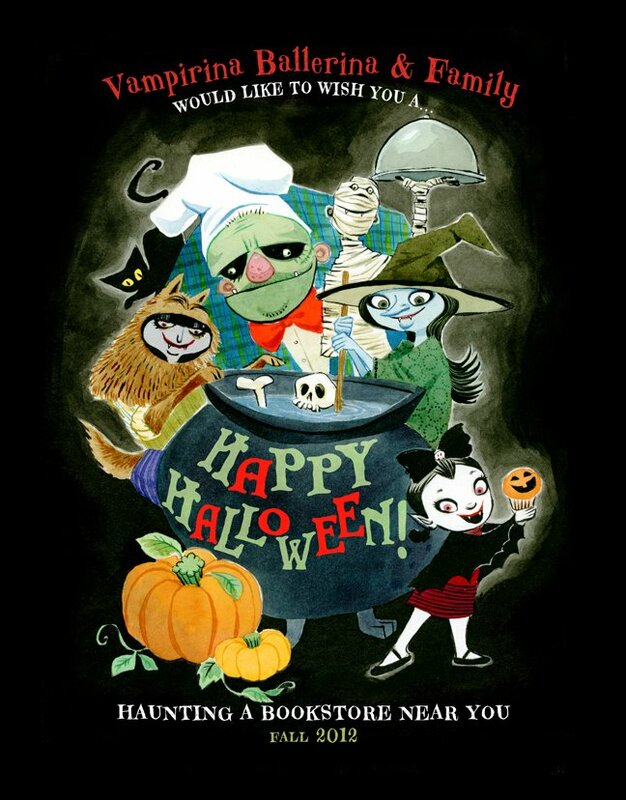 Here’s a Happy Halloween Wish from Vampirina! You can see more Vampirina art like this on her Facebook page. 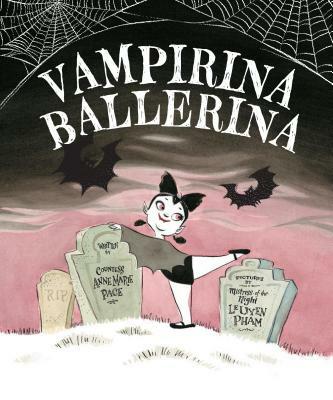 This entry was posted in Nerdy Chick Interviews and tagged Anne Marie Pace, Halloween Picture Books, Picture Book Writers, Vampirina, Vampirina Ballerina.